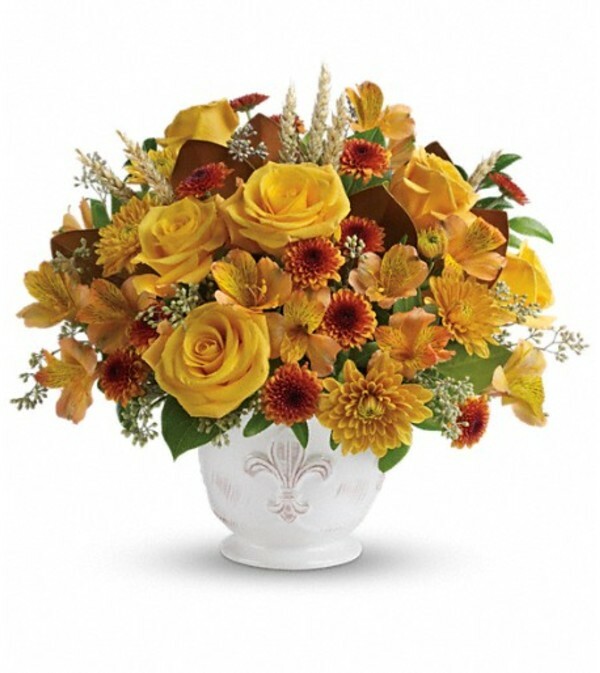 Invigorating as an autumn sunrise, this golden fall bouquet will lighten up any room with its radiant roses arranged in an antiqued French Country pot. 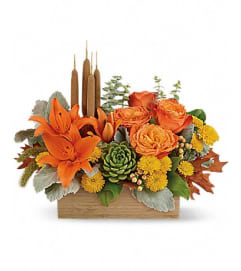 Lush yellow roses, yellow alstroemeria, bronze button chrysanthemums and gold cushion chrysanthemums are arranged with greens including magnolia leaves, huckleberry, seeded eucalyptus, lemon leaf and natural wheat. 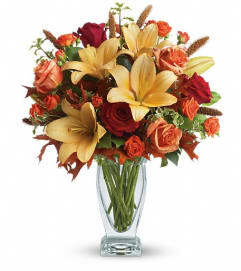 Delivered in a charming French Country pot.